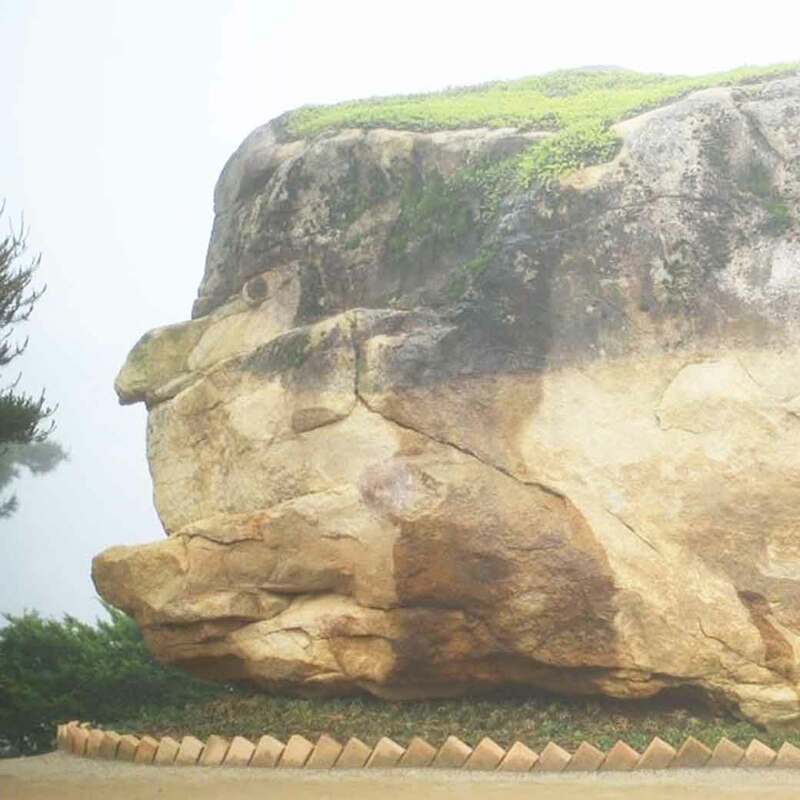 This is the Holy Son Rock in Wolmyeongdong. Can you see the image? There are more images on this rock, but from this angle, only one can be seen.